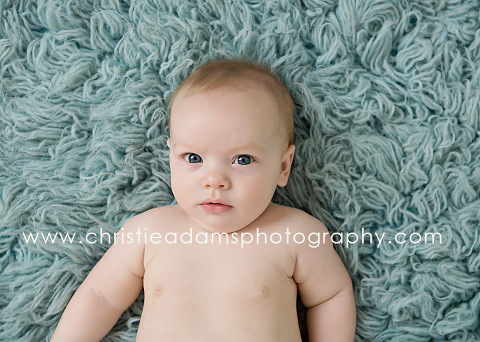 One of my newborn clients from June came back to my studio for a sitting-up session which is such a fun age! He was certainly one of the happiest and easy-going babies I’ve ever photographed. Christie Adams Photography is a modern photo studio in downtown Ridgewood New Jersey in Bergen County. In business since 2007, Christie has photographed over 650 families at her portrait studio as well as at local parks. Currently booking January, February and March sessions at the Ridgewood studio which is perfect for newborn, maternity and baby photo sessions.